Raising Pekins for family use or for local sale is one job that provides satisfactory contentment to the breeder. Although this is not quite an easy task to accomplish considering that there are so many factors one has to consider such as brooding and feeding, it is not an impossible task even for those without any experience raising Pekinsbefore. 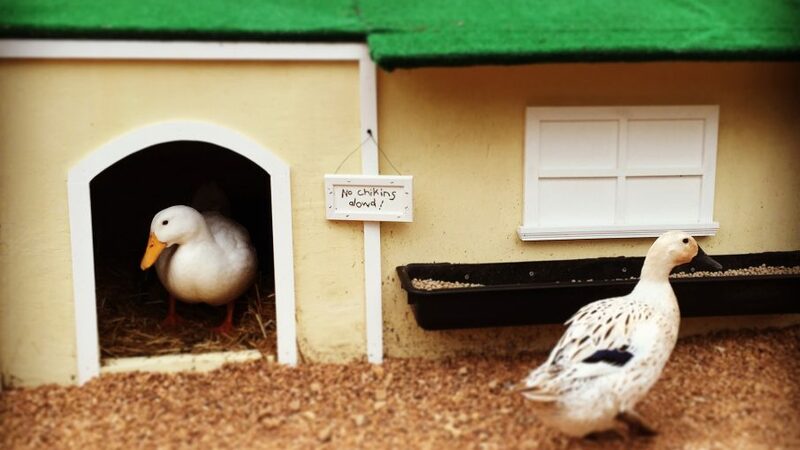 The Pekin duck breed grows faster than other duck breed. This is the primary reason why it is the most popular breed in the commercial duck industry. These ducks are good egg producers and they reach market weight early. Although these ducks seldom raise a brood and are poor setters, they are still viable for commercial production. A small group of ducklings could actually be brooded by most breed of ducks other than Pekins. Broody chicken hens are a good option as well. You could place the ducklings under a brooder at night in order for her to willingly accept them, in case that the ducklings are not hatched by the female. Ducklings could also be brooded artificially just like baby chicks. They need heat and some floor space. Any small area of a garage or a barn corner will do. The place should be dry, well lighted, ventilated and free from drafts. Pekins can be brooded artificially in about the same way as baby chicks. Due to the rapid growth of ducklings, baby ducks need heat for a shorter period of time, and floor space requirements are likely to increase more rapidly. You have to provide an absorbent litter material of about 4 inches that as ducklings are more sensitive to dampness than chicks. Good litter management is a must. You could use infrared heat lamps to provide the heat that the ducklings need. A 250-watt lamp would be enough for 30 ducklings. Observe the behaviors of the ducklings to determine if they are comfortable. If they are too cold, they would usually pile up and become very noisy. If they are too hot, they would stay away from the heat. Ducklings should have a steady supply of duck feed and drinking water. Use some protective covering on waterers to make sure they don’t get into it as they are easily chilled. It must also be wide enough to allow the duckling to dip its head to drink. There are formulated feeds for baby ducks available in the market. If this is unavailable, you could start them on a chick starter for the initial 2-3 weeks. After this period, the ducklings could be fed with a pelleted chicken grower ration. You could also add cracked corn or other grain. It does not take an expert to raise ducks in a backyard duck house. They are not susceptible to most of the common poultry diseases, and it is not necessary to use medicated feeds for them. In fact, giving ducklings an incorrect amount of some medicated feeds that are primarily for chickens and turkeys is harmful. Investing in Pekin ducklings is a sure way for a fast rate of return. Within 7-9 weeks, they are ready for market. At this period they approximately weigh 6-7 pounds, and they have consumed 20-25 pounds of feed. The Pekin duck breed is an easy breed to start raising. It takes a short period of time for it to grow and reach the commercial weight required of it. It could help you earn and enjoy at the same time.